Despite the fact that fluoride is naturally present in water and many foods, most American children still don’t receive enough of it. Unfortunately, this can have devastating consequences on their developing teeth. Without enough fluoride, your kids are at a greater risk of developing tooth decay at an early age. At Smiles of La Mesa, our dentists recommend fluoride treatments twice annually at your child’s routine cleaning and check-up. This can start as early as six month before any teeth have erupted. Ideally, all children should receive regular fluoride treatments until they are 16 years old. If you never received this dental service growing up, you probably wonder, “What is fluoride treatment?” Many people mistakenly believe that the only way to get a fluoride treatment is for a dentist to paint the substance on the teeth. While this is the most common type of professional treatment, several other methods exist as well. Some of these include foam, varnish, and oral drops. You or your child can also receive additional fluoride by purchasing toothpaste or mouthwash with the substance added to it. When Might an Adult Need a Fluoride Treatment? These are just a handful of examples of when you might benefit from a fluoride treatment. If you’re ever concerned about the strength or health of your teeth, please speak to your dentist about treatment options. If you opt to receive fluoride, it will make your teeth stronger and provide additional protection against cavities and decay. This is especially important as you age and face a higher risk of losing teeth to dental disease. 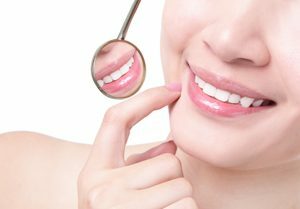 All the people at Smiles of La Mesa are just wonderful and friendly you feel from the first time like you've been there before and Dentist are kind and patient and put you at ease. I highly recommend Smiles of La Mesa to all for excellent service. Friendly staff and great and gentle dentist. Highly recommended. Friendly staff. Great dentist. Definitely recommend this dental office. I recently had an exam and cleaning of my teeth and all the staff were so welcoming and friendly. They made me feel at ease with the procedures and talked me through everything. I would highly recommend this dental office. The staff are very friendly and professional. I had a great experience at my initial visit. I have a follow up and look forward to see them again. I highly recommend this dentist. I had a great experience with Great Smiles of La Mesa. Dr. Johnson and her staff made me feel welcome and communicated everything clearly and in advance so I understood exactly what needed to be done and how much it would cost. Fast check in and friendly staff. Loved the new dentist. For New and Existing Patients, Please Call For More Details. Tuesday: 8:00 a.m. – 7:00 p.m.
Saturday: 8:00 a.m. – 2:00 p.m.